One of the falls biggest insect invaders into your home is the stink bug. 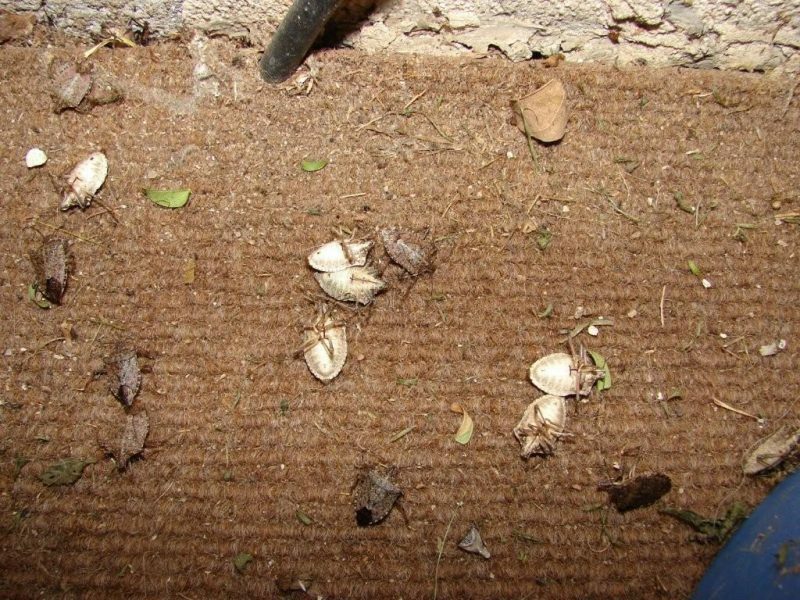 Below we will show you how to identify this bug and how to get rid of stink bugs from your home both inside and outside. The stink bug (also know as the brown marmorated stink bug) is a bug that is about on half long and nearly as wide. The bug has a strong unpleasant odor when crushed, hence the name stink bug. The stink bug is a common pest in many parts of the United States. They do not bite but gather in large numbers trying to gain entry to homes as outdoor temperatures cool. BUGGSLAYER Insecticide is extremely effective at killing stink bugs. If you are using a hand pump sprayer, mix BUGGSLAYER concentrate in the amount of four ounces to one gallon of water. This provides the proper ratio for spraying the perimeter of your house. Spray the BUGGSLAYER mixture around doors, windows, eaves and soffits, along the foundation in an area about three feet wide. As the stink bugs land and crawl on the treated area they will pickup the deltamethrin particles and the bug will typically die in a few hours. BUGGSLAYER is not an instant knock-down killer. BUGGSLAYER is a residual killer which means it will keep working for weeks after initial treatment and even rain water will not wash off the microscopic particles. Once the treated area is dry, kids and pets can enter the area. Click here for more information and to purchase. BUGGSLAYER Insecticide Multipurpose Ready-To-Use helps you win the battle with bugs that have entered your home. BUGGSLAYER is ready to use and requires no mixing. Simply spray the product around baseboards, window sills and frames, doorways, corners of the kitchen and anywhere else that you see the stink bugs or any other bugs. Do not spray on any food preparation areas. Once the product is dry, kids and pets can enter the treated area. BUGGSLAYER keeps working for weeks so you do not need to repeatedly spray. Click here for more information and to purchase.